My spots have grown, and I’ve added a couple . . . .
Tilly has grown by leaps and bounds and at three months, is fast catching up with Tia, her mother, in size. She loves to be scratched, stroked and rubbed in all the right places, and was a joy to spend time with recently. She is gentle, calm and has a good attitude toward her training. What more could one ask for in a horse? Oh, and she loves to run around the pasture with her older half sister, Pip. All this attention makes me hungry . . . . 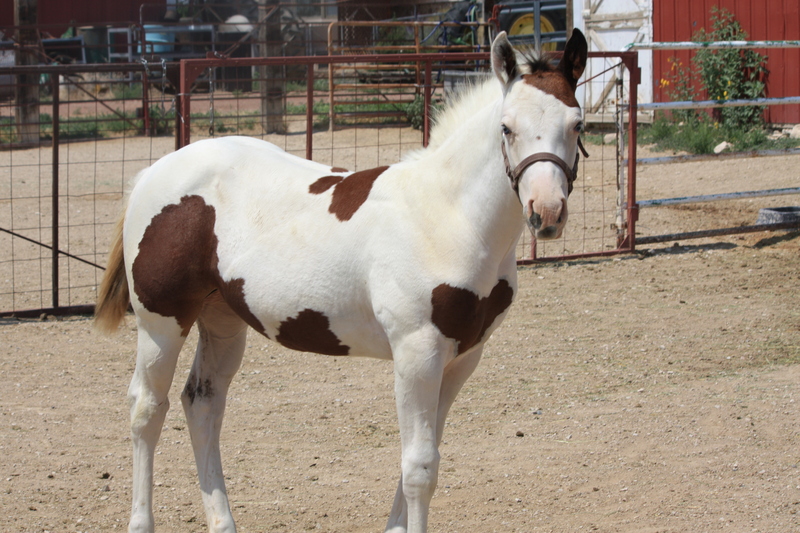 Still a baby, Tilly will nurse until six months of age at which time she will be weaned and come home to Wyoming. We are counting the days! Where is my bonnet – the sun is so bright! . . . . The “girls” bid us farewell as we leave them in the paddock. 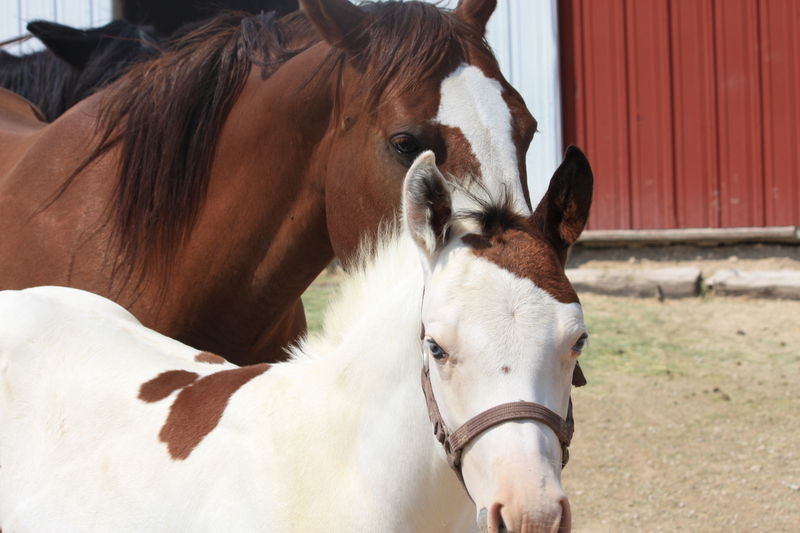 Tia has done a great job with her foal, and we couldn’t be more pleased. Until we meet again, Tilly! 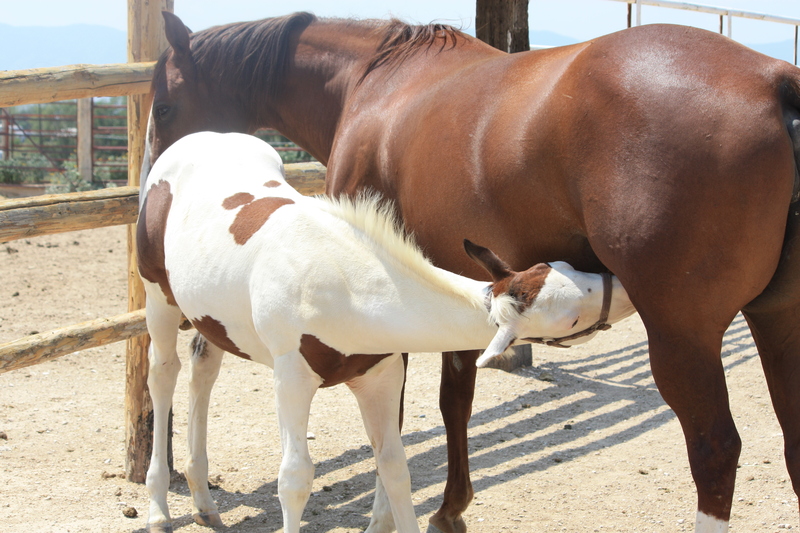 This entry was posted in Wildlife blog and tagged foal by bygeorge. Bookmark the permalink.